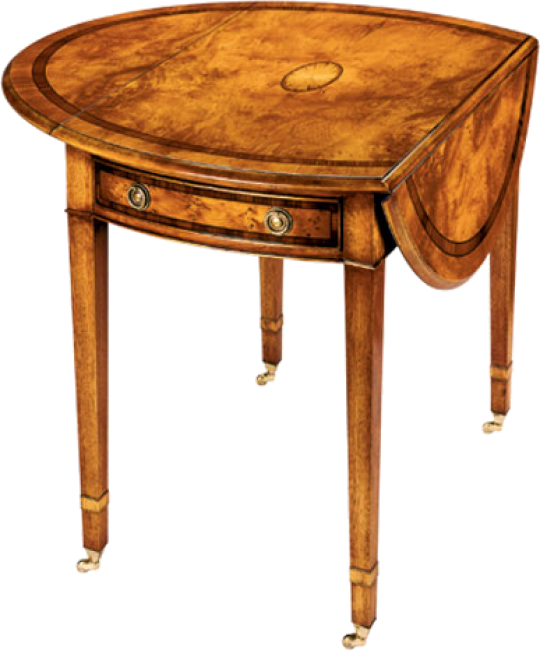 Oval inlaid Pembroke table. The top features a fan inlay and double crossbanding with Ebony stringing. The shaped drawer front is aslo crossbanded with Ebony stringing. Square tapered legs with Satinwood socks terminating in solid brass casters. Pictured in Yewwood.